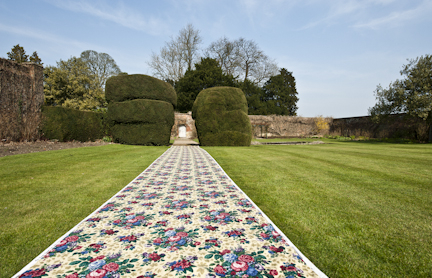 We search all over the world for the fabrics from which we create our own unique patchwork textiles. Through our contacts in three continents we source rare vintage pieces and rediscovered classics from the great design houses. We also i mport beautiful Japanese kimono silks – many, once again, of rare vintage – which, with their elegant abstract or beguiling figurative patterns, make wonderful framed works of art in themselves. 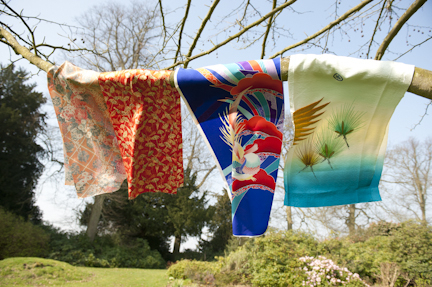 Our collection of fabrics and kimono silks is ever-changing as we continue searching, discovering – and surprising even ourselves. Talk to us about what you’d like to achieve and we’ll be delighted to take you through our current collection, so we can find the perfect combination of fabric and design. Coming soon – very special fabric lengths and remnants from our own vintage and designer collection for you to buy for your own craft projects or soft furnishings.